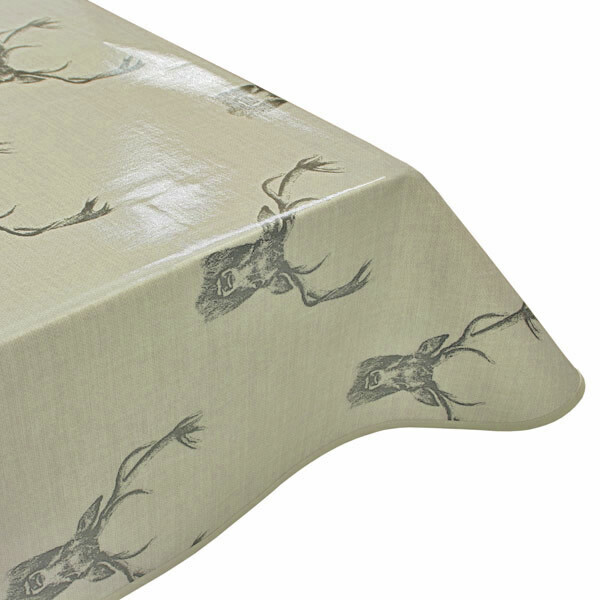 Add a rustic feel to your table with this stag head oilcloth tablecloth. Offered in a natural colour scheme, the neutral colours will complement any décor, while the print gives a stylish, vintage look. 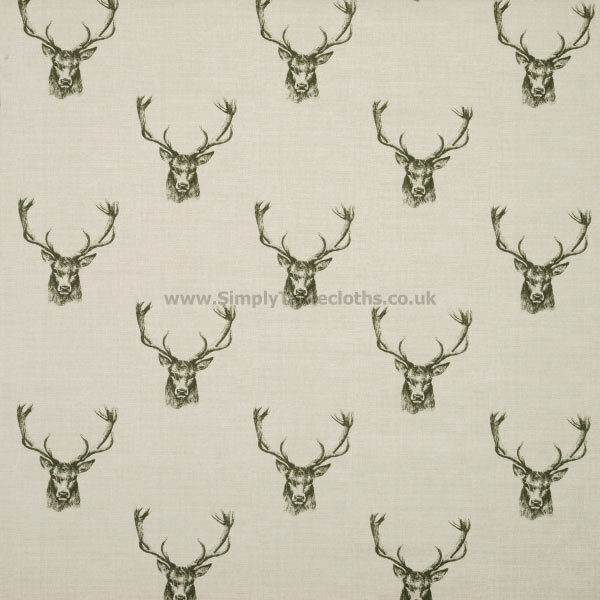 This tablecloth is perfect for a cabin, lodge, or any avid outdoorsman. The PVC top layer promises an easy, wipe clean finish, while the optional edge finishing gives a polished appearance to your table. We are very pleased with the purchase of the cloth for use as a table cover in our garden room. Very good quality and lovely design. Lovely pattern and excellent quality. Looks lovely on the table and wipes clean.